Over one-tenth of Australians suffer from an anxiety-related condition. Elisa Black is one of them - and her story could make life better for those millions of other people just like her. Since journalist Elisa Black wrote an article about her lifelong struggle with anxiety in March 2015, it has been read by hundreds of thousands of people. Clearly, what Elisa had to say found a readership far bigger than she could have expected - and with millions of Australians suffering from anxiety, it's little wonder. There is far more to Elisa's story, though, than one article can cover. In this book, weaving memoir with science, Elisa uses the stages of her own life to relate to stages in everyone's lives and the types of anxiety that may be experienced during each phase. She includes the latest in research and other scientific information about anxiety, its causes and treatment. Elisa's story will inspire fellow anxiety sufferers to believe that there is a way to manage their condition and live more freely. From her own experience she also offers hope that anxiety does not have to dominate a life, or even dent it - it can be managed and conquered. It was only following a misguided spell in a German girl band that Elisa Black finally settled on a career in journalism a decade ago. After post-grad study at the University of South Australia, she moved to Brisbane where she spent her first weeks in newspapers covering the sports round, rapidly learning there is, in fact, no such thing as a handball in rugby.A stint in magazines and feature writing followed before she returned to Adelaide to work first as an entertainment reporter and then as health and family reporter for a weekend newspaper.She vacillates between hoping desperately for a resurgence in the popularity of the written word, and terror that, one day, her boys will read exactly what she has been writing about them. Question: What inspired you to write The Anxiety Book? Elisa Black: I was always anxious - my first memories are of being scared for absolutely no good reason - but I didn't realise it was anxiety until I was in my 20s and a long period of intense and almost-constant panic attacks left me very unwell. It would have been enormously helpful to know what was going on, rather than my imagination convincing me I was about to die and go crazy at the same time. I think it also helps to know you are not alone. Sometimes the thoughts that go through your mind when you are anxious become even scarier because they feel so specific and real and personal - like they must be true. Hearing the same fears from others takes the sting out of them. 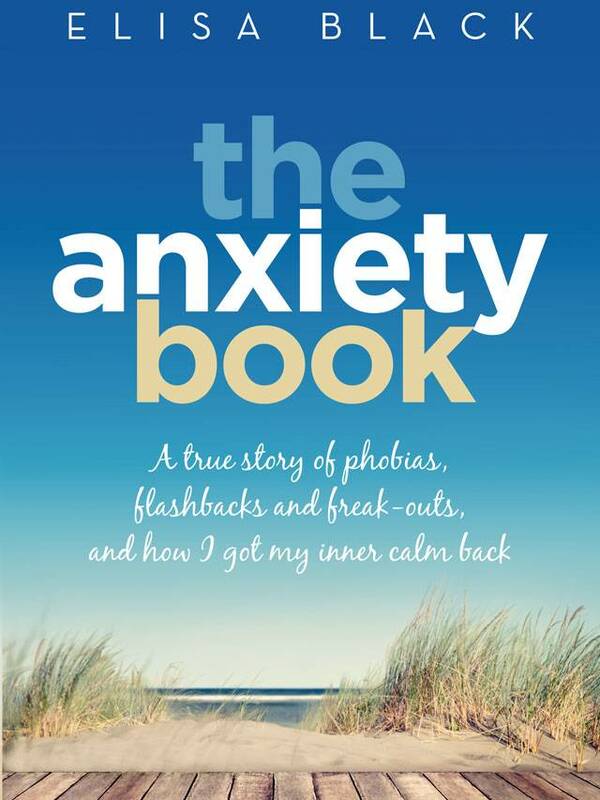 Question: Was it difficult reliving your own experiences, when writing The Anxiety Book? Elisa Black: At times it was absolutely vile. Making myself examine all of the horrible thoughts that can go through my head was less than fun. But the flipside was that examining them in the context of the scientific theories and therapies in the book made me see them as symptoms of anxiety, rather than truths. It managed to give me a little rational distance. Question: What did you learn about yourself when writing The Anxiety Book? Elisa Black: That I am far from unique in feeling the way I do. Literally millions of people have anxiety and so many of us hide it really well. Question: If you could give readers one piece of information, taken from the book, what would it be? Elisa Black: Have hope. And don't expect your anxiety to disappear forever. Anxiety can be helpful. Before an exam, a performance, while waiting for important news, it heightens our awareness, makes us perform better. Even the bad kind of anxiety, the kind that rears its awful head for no appropriate reason, might edge its way back in when you think you have gotten rid of it for good. But you can absolutely find ways to lessen the severity and frequency. Question: Why was it important for you to include research, causes, treatment and science in this memoir? Elisa Black: When you are anxious it can be hard just to get out of bed, let alone think about taking steps to get better. The book has information on different types of treatment - from therapies a psychologist might use to meditation and a whole slew of other strategies. Anxiety can be caused by different things, even in the same person, so chances are it will take more than one thing to make you feel better. It has also helped me to understand the whys of my anxiety, has made me feel less like of a defective freak. Question: Can you provide your favourite way to manage anxiety, when it appears, unexpectedly? Elisa Black: Distraction. Finding something to take my attention away from the thoughts in my head and the panic in my body. In the moment, distraction is the best way to deal with the anxiety.